Header: Large, bold text that can be used to divide a form into individual sections. Paragraph: Text that does not have responses. Paragraphs can be used to provide instructions or information about a form. 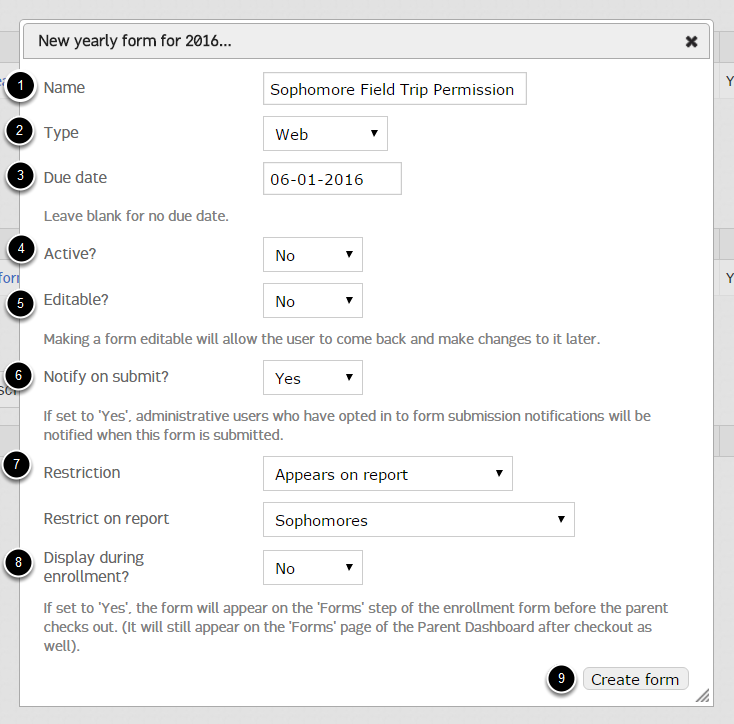 To create a new web form, select "+Add new form..." within the appropriate scope (Permanent, Yearly, Session). Choose if you would like to make the form active. You should leave the form inactive until you are done building it. 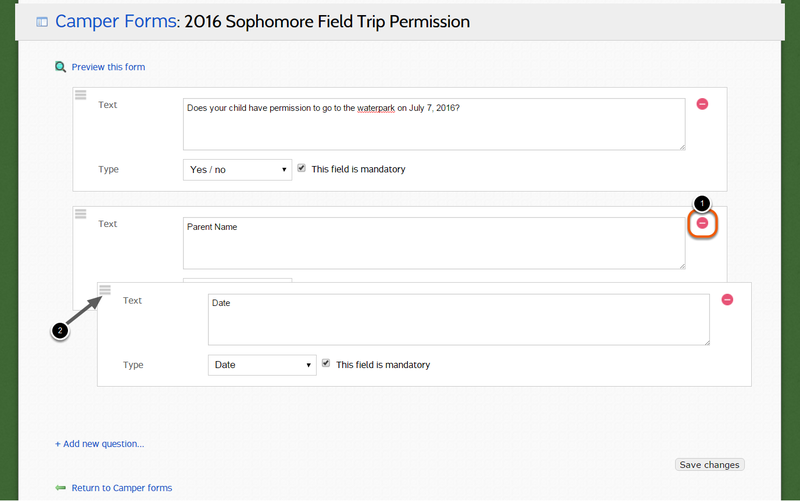 Choose if you would like to allow the form to be edited through the Parent or Staff Dashboard after submission. Making a form editable will allow the user to come back and make changes to it later. The new form has eben added to the list of forms. Gray italics indicate that the form in inactive. Click the form name to edit the form. Click "+Add new question..." to add a new question. Click to preview the form. Note: Be sure to save the form before previewing. 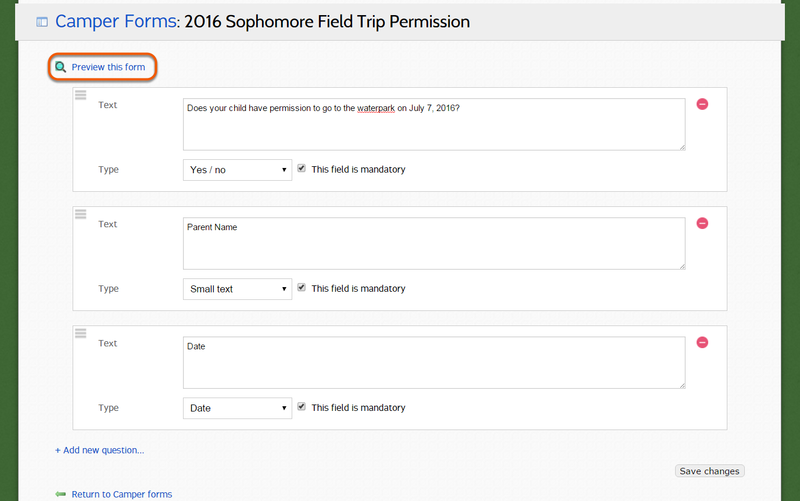 The preview shows the form as it will appear on the Parent Dashboard. Double-click in the pencil to make the form active. The form is now active and can be viewed on the Parent or Staff Dashboard.